Lebanon, IN - Kokomo Speedway can be described as the Indiana Bullring that separates the men from the boys. But for Chad Boespflug its more of a love v.s. hate type of description. 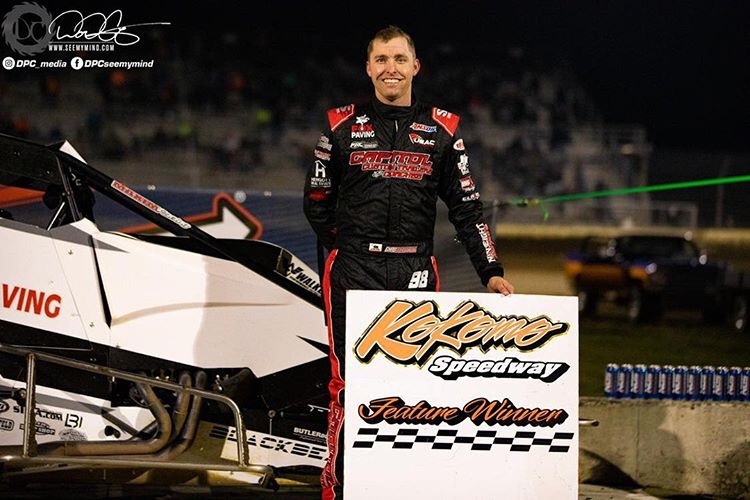 A track which had eluded him since his campaign in non wing sprint cars began in Indiana in 2006 had a love relationship with the California native Friday during the Kokomo Grand Prix where he "Parked It" in BC Victory Lane for the first time in his career. A flawless night saw Boespflug sweeping qualifying, heat race, and feature competition before pulling the EZR #98e MAXIM into Victory Lane. 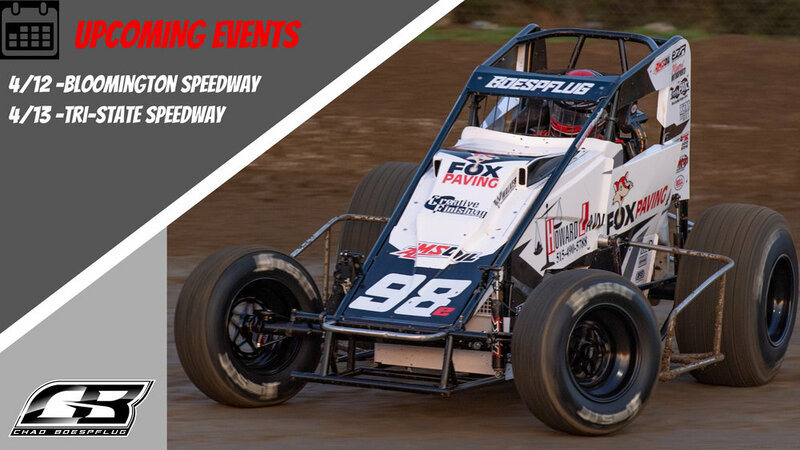 Coming off the win Boespflug took advantage of the USAC off weekend to get some seat time in his own wing sprint car with the FAST Series in Ohio where he finished 16th. "The goal for the wing car is to get seat time and make laps. Making the main is always what you shoot for but to make good consistent laps while learning is what is important to be fast. We will try and fill in with wing races as the USAC National schedule allows. That was the plan in 2018 as well, but mother nature had other plans instead. I feel the skills needed to race a wing sprint car help advance me as a driver in the non wing car as well. I am eager to get back at it with the AMSOIL USAC National Series Friday and Saturday in Southern Indiana in the EZR 98e." - Boespflug reflected on this past weekends performance at Atomic Speedway. Amsoil, Arizona Sport Shirts, Bell Helmets, Butlerbuilt Seats, B & W Auto Mart, BMRS, BR Motorsports, Capitol Renegade and Custom Trailer Sales, Competition Driveline Services, Claxton Engines, Creative Finishing, DMI, FK Indy, FK Rod Ends, Fox Paving, Ham Signs, Hergott Real Estate Group, Hoosier Tire, Howard Law, HRP, Indy Race Parts, InTech Trailers, KJM Trucking, Lex Burritt Inc., Malvern Trust & Savings Bank, Manvel Motorsports, Maxim Racing, Midwest Shades, PAC Racing Springs, RevvedUp Industries, Rob & Jo's Body Shop, Saldana Racing Products, Schroeder Torsion Bars, Schoenfeld Headers, Shaws, Simpson Race Products, Smith Titanium, STIDA, Walker Performance Filters, Weld and Wilwood. Enjoy LIVE or On Demand Coverage of all USAC Sanctioned Events and more.